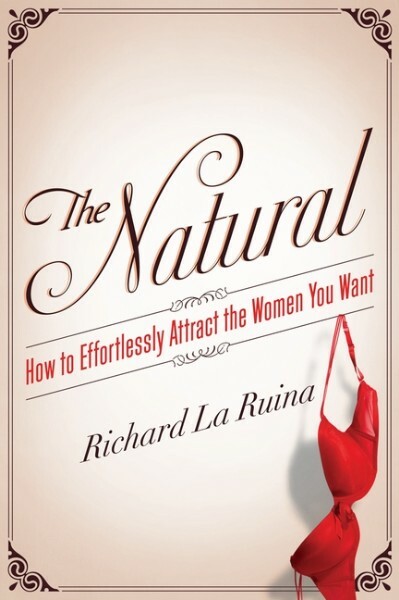 Richard La Ruina is an internationally renowned pickup artist, coach and acclaimed author. A best-selling author in the UK, he has exploded onto the American market with his new book The Natural: How to Effortlessly Attract the Women You Want (HarperOne). In 2007 he founded PUA Training (Pickup Artist Training), one of Europe's largest seduction companies, which now consists of five websites, popular weekend seminars, and boot camps around the world. He has trained over 5,000 men at live events, and tens of thousands via his DVD products. Hailed as "Britain's No 1 superstar chat-up artist" by The Times newspaper and a "master Casanova" by The Independent, La Ruina is a sought-after guest speaker at colleges and universities as well as seduction and dating conferences worldwide. La Ruina used to be the guy who couldn't get the girl. Shy, painfully awkward, and still living at home with his mother, at twenty-five he decided to finally take control of his life and become the kind of man men admire and women desire. Today, he is one of the world's best-known pickup artists and can confidently approach and attract any woman. Now, in his "The Natural" talks, he shows audiences how to do the same. In his captivating talks, he brings his extensive experience to audiences, delivering field-tested methods and easy-to-use tools for attracting women. Just like riding a bike or driving a car, meeting women and making them fall for you is a learned skill that, with enough practice, becomes effortless. La Ruina illustrates every element of the winning pickup, from discovering confidence to exuding charm, learning conversation starters to mastering body language, to much more. As founder of PUA Training, La Ruina has personally coached countless men through their own dramatic transformations. He is consulted as an expert in a wide variety of media, from Tips for Women in Cosmopolitan to seduction tips in FHM. He has been featured as an expert and trainer on Undercover Princes on The BBC, Best Friend's Rehab on Fiver, Super Dragueurs: La Communaute Secrete Des Pick-Up Artist on Canal, The Fine Art of Seduction on VPRO in The Netherlands and First Cut: The Rules of Seduction, a how-to documentary for landing the women you desire. He splits his time between Moscow, Rio, and New York City. "The UK'S No. 1 Superstar Chat Up Artist." "Britain's answer to Neil Strauss." 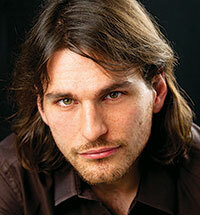 "Richard's lines were startlingly brilliant. He was like a real life Hitch." "The urge to compare him to Hitch is uncontrollable . . . He's white and not quite as famous as Will Smith. What he is, is more successful with women."